Are you tired of paying a fortune to get pictures framed? Or maybe you just don’t bother because it is so expensive. Let me help you with that. In this workshop you will make a rustic picture frame, do mat cutting, and assembly. You know those gorgeous Easter Egg topiaries you see in catalogs? The ones that cost over $200? Well, in this painting workshop we will make a faux free-standing version of those to decorate for Easter. They will set a whimsical, yet grand tone for spring. Bring a friend and some wine (optional) and come relax while you create. When I think of February, I think of sweets. So, in the Chics With Tools world, that means it is time to decorate cakes, this time in decadent chocolate. We will learn to make ganache, buttercream roses and leaves, and chocolate candy designs. If you are interested in a morning workshop, do a private event for four to six participants. In January, many people have two things on the brain: fitness and organization. I am not touching the first one, but the second? Yes. We will head to the Chics With Tools Makery to do some wood working. The project is a vintage-inspired tool box caddy, which can be used for everything from crayons to towels, flowers to fruit. It makes a great centerpiece and is perfect for gathering veggies and herbs. I mean, how versatile can you get? Do you have a project but you don’t have the tools? Is space at a premium? Or maybe you need a little advice to get from point ‘A’ to point ‘B’. 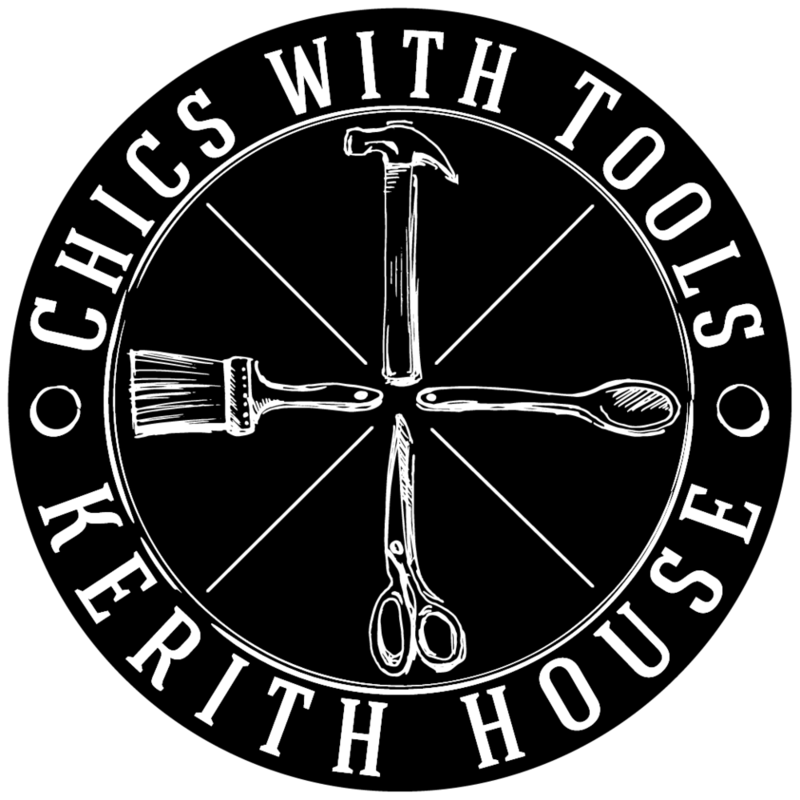 To help you out, the Chics With Tools Makery will host an open studio day. November is all about getting cozy with cocoa and learning to sew pillows. Christmas pillows that is! October is all about Words on Wood. We are making custom wood signs!